With Halloween only a few days away I thought I would review a place over in Philadelphia that gets a lot of visitors throughout the year, but around Halloween is when this place really gets crazy. There are day time tours you can take, or for the really adventurous once it gets dark outside you can experience a ghost tour that I have heard it terrifying. 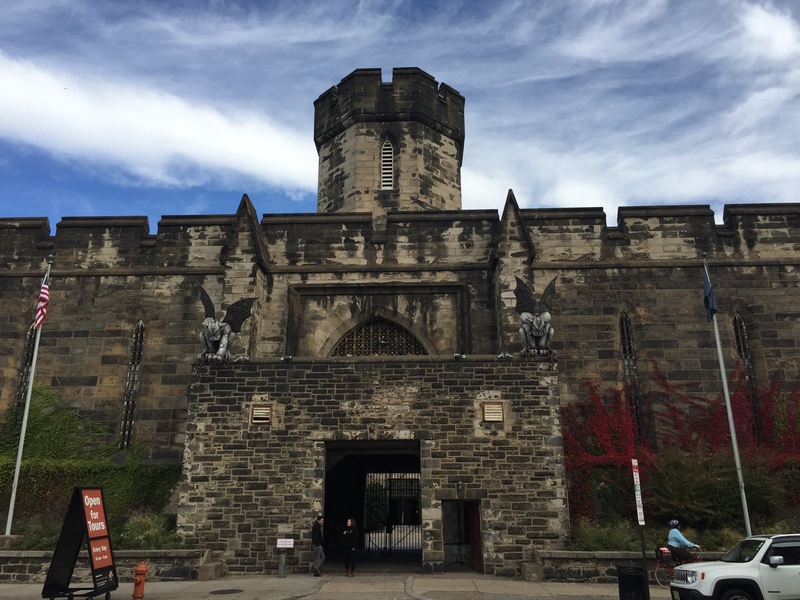 Who wouldn’t want to walk through the hallowed halls of an abandoned prison known as Eastern State Penitentiary. I will admit I did not opt to go at night for the Terror Behind the Walls, but instead went in bright day light to hopefully ward off any spirits that may have wanted to see me screaming back out to my car. As you can see from the pictures this place is plenty creepy during the day. Eastern State was opened in 1829 and remained in operation until 1971. The prison consisted of cell wings radiating in a full circle from a center tower where the prison could be kept under constant surveillance. This design became known as the hub-and-spoke plan. 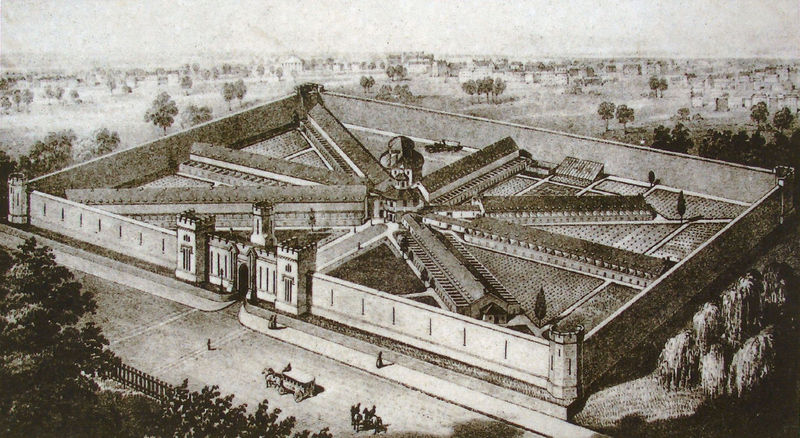 Originally the system of incarceration dubbed the “Pennsylvania system” encouraged separate confinement as a form of rehabilitation. 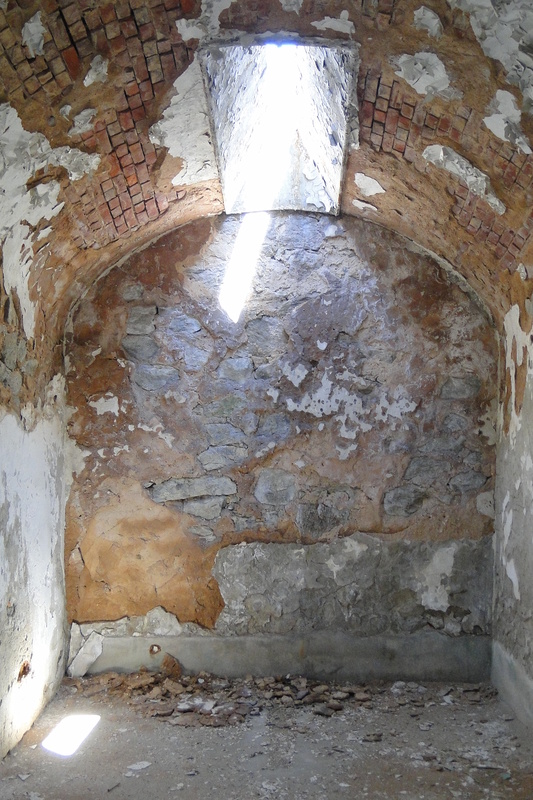 The prison had design aspects with religious inspiration, for example the halls were designed to have a feel of a church, and each cell had a single overhead skylight representing the “Eye of God”. This was to suggest to the prisoners that God was always watching them. 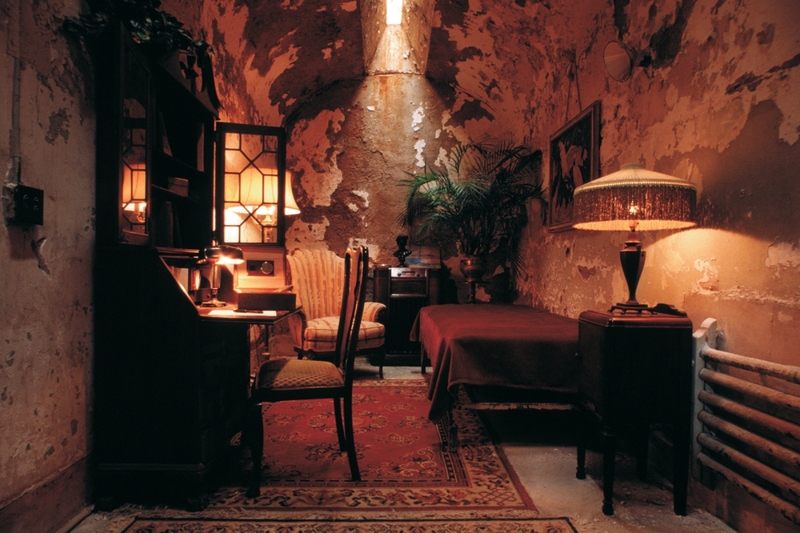 The prison housed some famous criminals including bank robber Willie Sutton, and Al Capone who had a an unusually comfy looking cell (guess being a mob boss does pay off). There was also an unusual story about a dog named Pep. 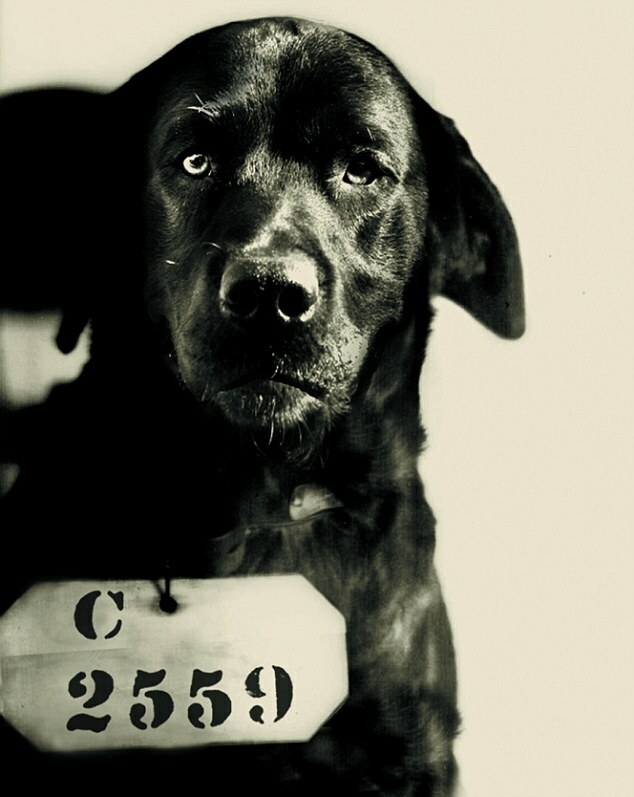 In 1924 Pennsylvania Governor Gifford Pinchot allegedly sentenced Pep “The Cat-Murdering Dog” to a life sentence at Eastern State. The dog supposedly murdered the governor’s wife’s beloved cat. Prison record reflect that Pep was assigned an inmate number (C2559) which is also seen in his mug shot. 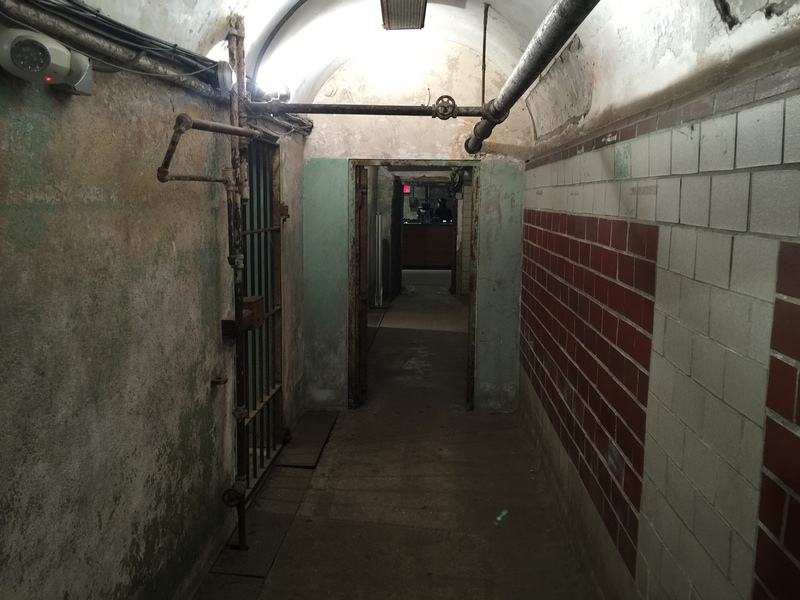 After walking through some of the cell blocks, courtyard and having the hair on my neck stand on end the entire time I made my way back towards the entrance of the prison. 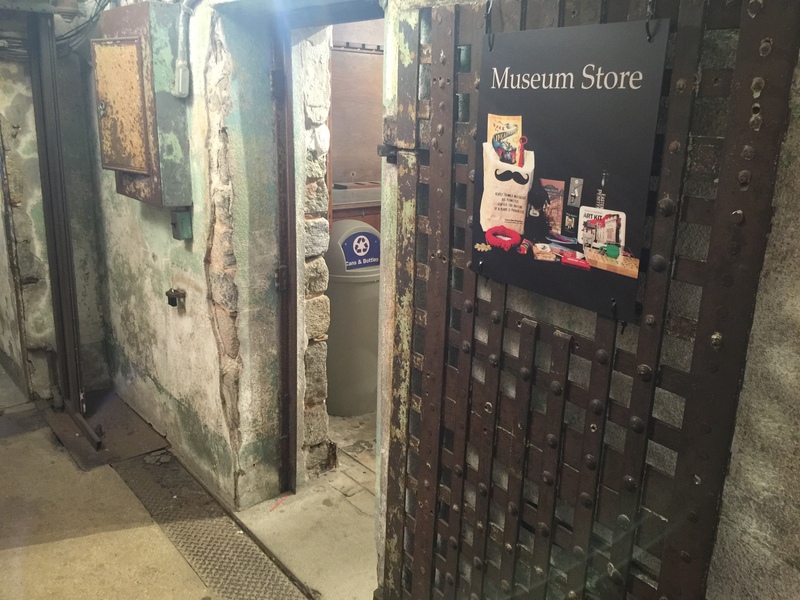 Down one of the hallways close to the exit you will find the Museum store. As with any Museum gift shop there is all sorts of prison related souvenirs available including posters, t-shirts, hand cuffs and anything else you can image. Among all these items was another reason I made the trip to the prison. 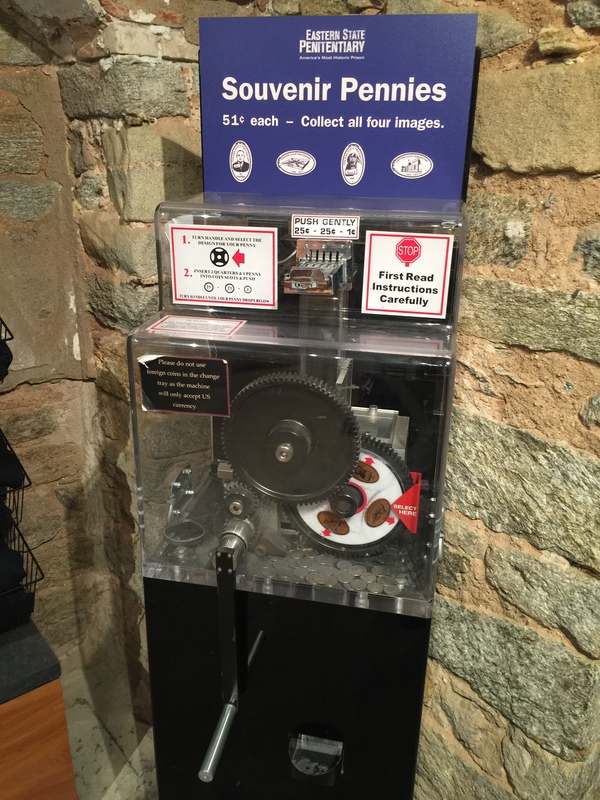 The four design penny machine seemed a little out-of-place among the prison walls. I pressed each design without any issue, as I sometimes find these types of machines require a little extra arm strength to turn. Each design had very nice detail and referenced the prisons famous history. 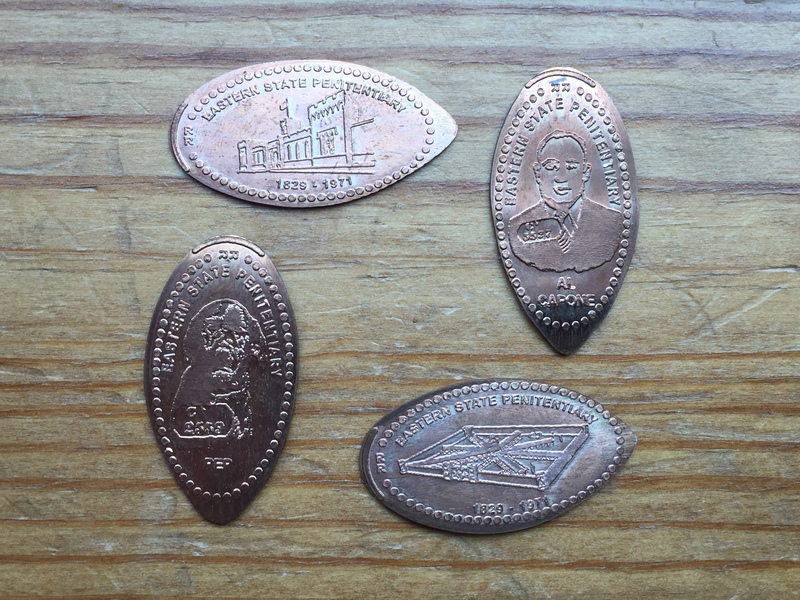 The images on each coin were: The main entrance to the prison with the year 1829-1971, Al Capone, The hub-and-spoke prison layout, and Pep the dog. With the freshly pressed pennies in my pocket I quickly made my way out of the prison and back to my car. It was early afternoon but I wasn’t sticking around until sundown when all the prison ghosts made their appearance. Plus I had one other place to visit that was also going to leave me with a creepy feeling.